Earlier this week I had the pleasure of joining Stefan Christoff, my Les Rumeurs collaborator and member of the Howl Arts collective, on CKUT 90.3 FM for the last of the Montreal sessions. 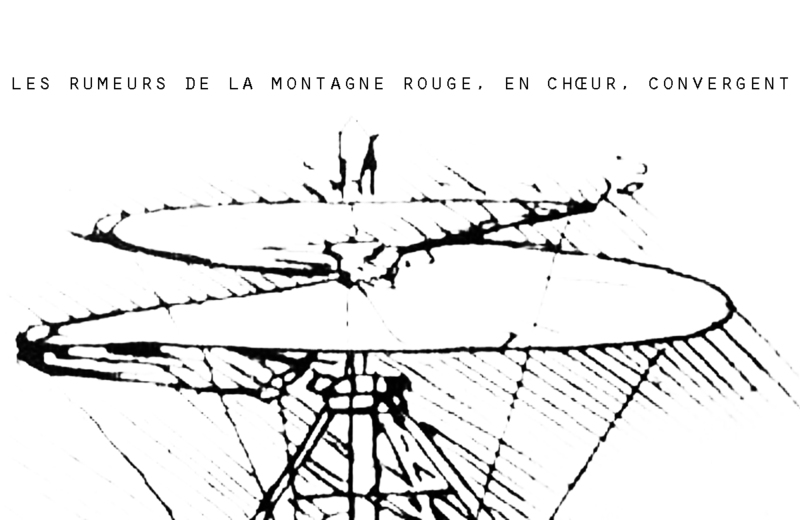 Stefan and I have a tape coming out called Les Rumeurs de la Montagne Rouge, En Choeur, Convergent. It’s drawn from a 20 minute radio piece I produced earlier this year, weaving together field-recordings from the Quebec student strike of 2012 with some piano improvisations recorded by Stefan from during that time. The A-side is about 8 minutes long, featuring two movements presenting different orientations towards the events. The B-side is almost 10 minutes long, a narrative of the unprocessed field-recordings used on the A-side. This piece concludes with a long drum line performance taken from a July protest. The tape is now available for pre-order, contact thenewobjective@gmail.com for more information. Also in the studio last Tuesday were four Montreal musicians performing as A Sacred Cloud, a lovely cloud of electronics, synths, minimal drums and flute. Honored to have played a small part in making sure this sounded good.